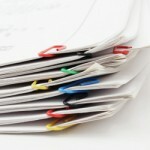 The FreedomFiler® is the only self-purging filing system available today. Never again have to take time out of your life for cleaning out or reorganizing files! 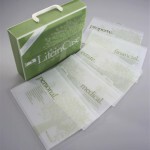 Life in Case is the answer to all of your paperwork questions. Think for a minute, what would you grab if you only had 1 minute? With Life in Case, everything is available at your fingers. An academic planner that gives all students – both those with learning challenges and the most able learners — a natural way to visualize time so they can learn to master it. 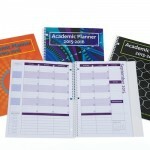 The Academic Planner – A Tool For Time Management® … Keeping Students on Track, on Task and On Time. It’s simple – when the red is gone, time is up. Time Timer is helpful in a surprising variety of ways: at school, at work, at home and when you travel. Put one on the table during a meeting and instantly it is more urgent and efficient. Everyone in the room aware of how much time is left. It makes time a topic instead of an arbitrary setting. 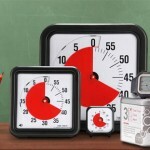 People with special needs — especially Autism and ADHD — love Time Timer’s visual approach to time. The red disc quietly disappears while time elapses, showing you how much time is left in a calming picture (no stressful countdown or freaky ticking clock)! Available in a number of styles, sizes and colors… including a watch and app (desktop, android, iPhone). 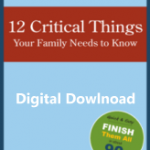 12 Critical Things Your Family Needs To Know is a PREMIUM Instant Digital Download workbook by Mark Gavagan that discusses information about your personal & financial affairs in twelve major areas: 1. Personal & Family Information 2. Family Medical History 3. Advance Health Care Directives 4. Organ+ Donation Choices 5. Final Arrangements 6. Wills, Trusts & Estate Plans 7. Insurance 8. Investments, Bank Accounts & Other Financial Assets 9. Retirement Plans & Annuities 10. Real Estate: Your Primary Residence 11. Debts & Liabilities 12. Advisers Other important information is mixed into these pages that doesn’t fit neatly into these categories. Interested in ordering a hard copy instead? A collection of essential business forms such as confidentiality agreement, photo consent, needs assessment and more that can be branded for your business. Print them, brand them and make them your own.